Welcome to World Faith’s Global Fellow, Maria Achton Thomas. Maria has joined the New York office to offer logistical support to World Faith programming, including Chapter communication, impact reporting and analysis, and long-term visioning. Originally from Denmark, Maria trained as a lawyer in the United Kingdom and worked for a number of years in London, representing asylum seekers and refugees in their claims for protection. In 2012 she moved to Singapore with her family, where she completed a Masters degree in International Law. After four years in Asia she relocated once more, this time to New York City. Here Maria found herself searching for new opportunities, and with a desire to gain experience in the non-profit sector. 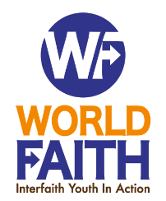 This eventually led to an introduction to World Faith, where she is now learning the ropes and getting to know the people and the organisation. Human rights and social justice have been cornerstones of both her studies and employment to date, and she to hopes to make a significant and positive contribution to the mission of World Faith. Maria currently lives on the Upper West Side of Manhattan with her husband, two kids, a dog, a cat, and a bearded dragon!